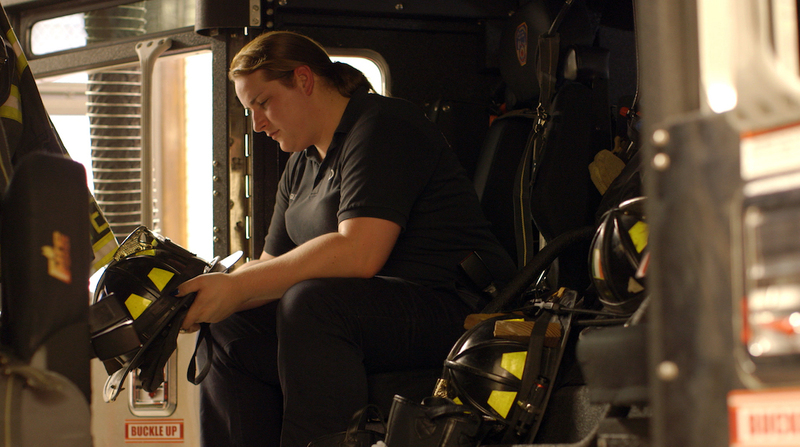 WORLD PREMIERE This portrait of courage under fire celebrates NYC’s first openly transgender firefighter. For Brooke Guinan, fighting fires runs in her blood – both her father and grandfather served in the FDNY. But as a transgender woman, her path to service has not been without obstacles. Transitioning from male to female in what is still an overwhelmingly macho profession proves a challenge for her coworkers and her family, while her boyfriend reckons with the impact of Brooke’s newly public profile on his parents.